How to complete this week's Shooting Gallery challenge. Where to find the Fortnite Shooting Galleries in Wailing Woods, Retail Row and Paradise Palms this week. Another week has introduced another set of new challenges to complete in your Fortnite Battle Pass. This time around, one of these tasks has you traipsing around the map in order to track down a handful of shooting ranges. There are three such shooting ranges to find, one in Wailing Woods, one in Retail Row and one in Paradise Palms. When you arrive at each one, you'll need to shooting out the targets from a base point - and some are trickier to hit than others. To help you beat the challenge, we've put together a comprehensive guide that explains where you have to head to on the Fortnite map, and what you have to do once you get there. 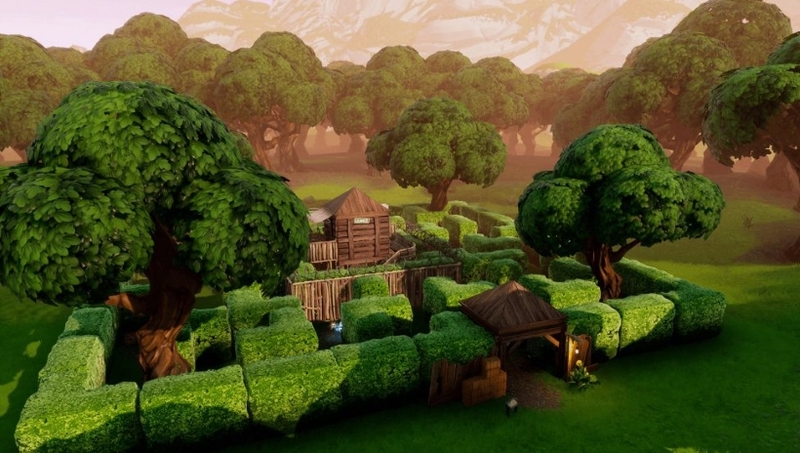 Head directly east form where Wailing Woods is listed on your in-game map, and don't stop until you're right on the coast. You'll know you're in the right place when you're at a thicket of trees. The shooting gallery is found here. Make your way to the little pad with the footprints marked on it, then shoot out the targets as soon as they appear. Note that you'll have to deal with a few waves of them before you've marked this one off the list. The Retail Row Shooting Gallery is found by travelling into the woods that are located directly north of the Retail Row text on your map. Once again, you need to stand on the pressure pad to initiate the target practise. These ones are a little bit trickier, and again you'll have to deal with a few waves of targets that pop up. Finally, the Paradise Palms Shooting Gallery is found east and a little north of the zone, right by the coastline. Once you're on the pressure plate, fire at the targets but just be prepared for a more long-range challenge here. The targets spring up in the far distance, but they can be a little harder to spot - just keep focused on the cliff on the horizon and you'll get it. And that's how you find the Wailing Woods, Retail Row and Paradise Palms Shooting Galleries in Fortnite this week! If you're struggling to finish this one because of the competition, just come back here in a week or so. You've still a fair bit of time until the current Battle Pass expires, so you might find it easier once the rest of the playerbase has finished with this one.